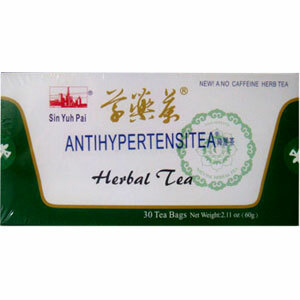 Maintains a healthy blood pressure level. This tea derived from a Chinese traditional formula. It consists of all natural herbs. No tea leaves, no caffeine, no additives. It is a natural drink for those who want to adjust their blood pressure and keep it in a healthy condition. Maintains a healthy blood pressure level. Directions: Steep tea bags for 5 – 10 minutes, 3 times a day. Can be served with honey.